With a baby/toddler starting to eat on his/her own, it is inevitable that food/drink will end up on the floor. I am neurotic about cleaning spills/crumbs to the point that my child now picks up the most miniscule crumbs and tells me to put into the trash. 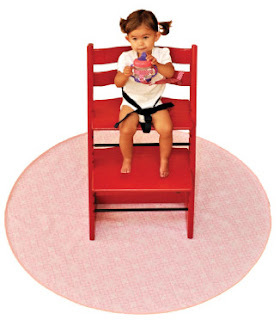 Our unique 52″ round SplatMat is a mat to place under your child’s chair to catch spilled or dropped food. Also great for protecting against art projects. No more sticky, messy floors! 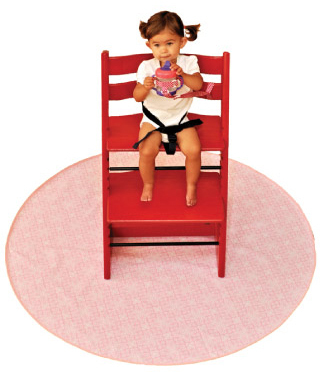 48″ round design covers more area than a typical square mat. Great for picnics, parks and beaches too! I commented on your Wordless Wednesday - Library post! And don't forget to follow back!